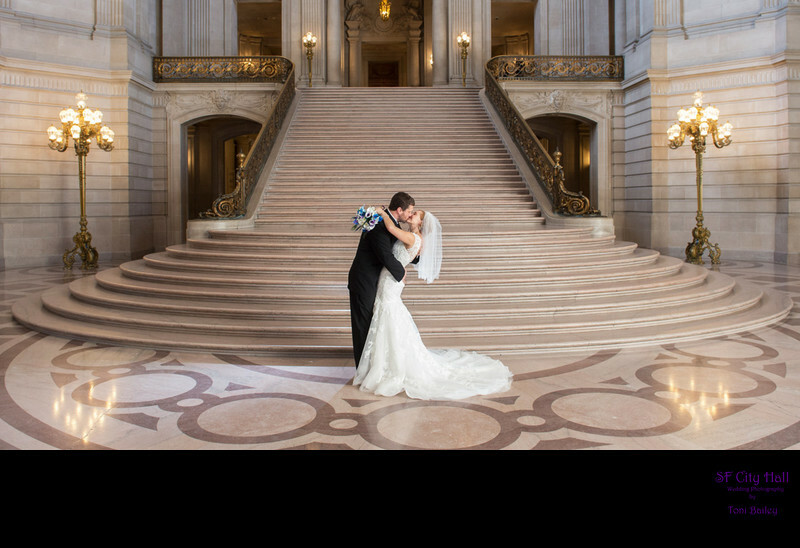 We asked our couple to pose in front of San Francisco City Hall's famed Grand Staircase. We created this simple pose by asking the bride and groom to kiss and have them bend back slightly. Even though this one suggested move was very subtle, it has a major impact on the quality of the image. Think of how this image would look if the Bride's veil was not hanging down and lit up by our lights. It would not be nearly as dramatic. We had a wonderful time with this city hall couple.